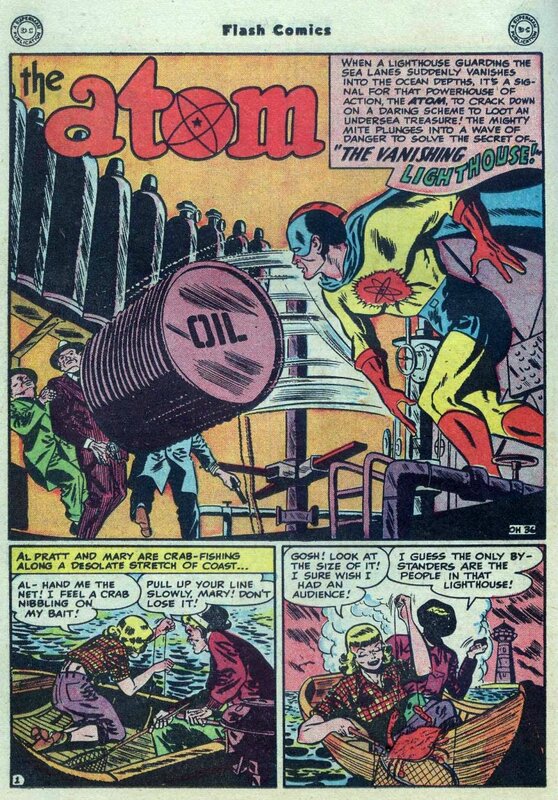 The Atom's original costume featured a full face mask, leather wrist bands and shorts and bright red boots. He looked like a professional wrestler. 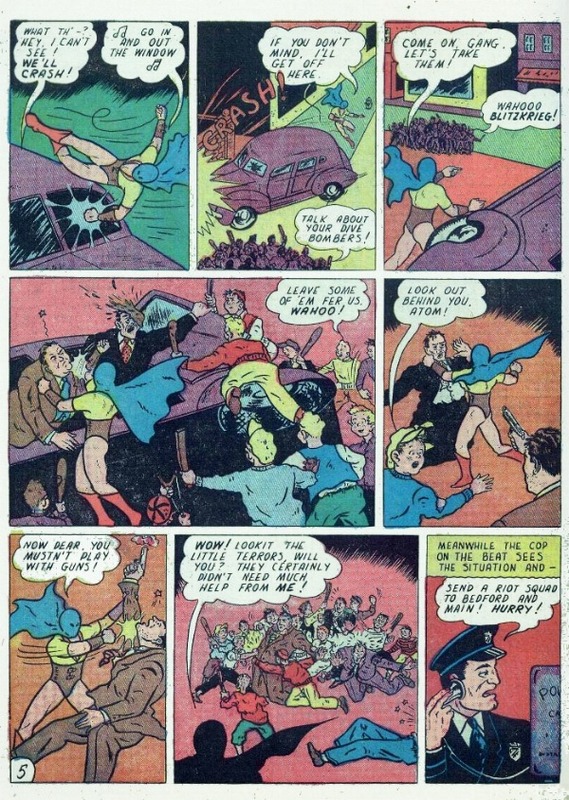 Joe Gallagher- All-American 42-61, 70, Flash 80 Gallagher's uniquely comic/dramatic style graced the remaining episodes of the Atom that ran in All-American Comics. 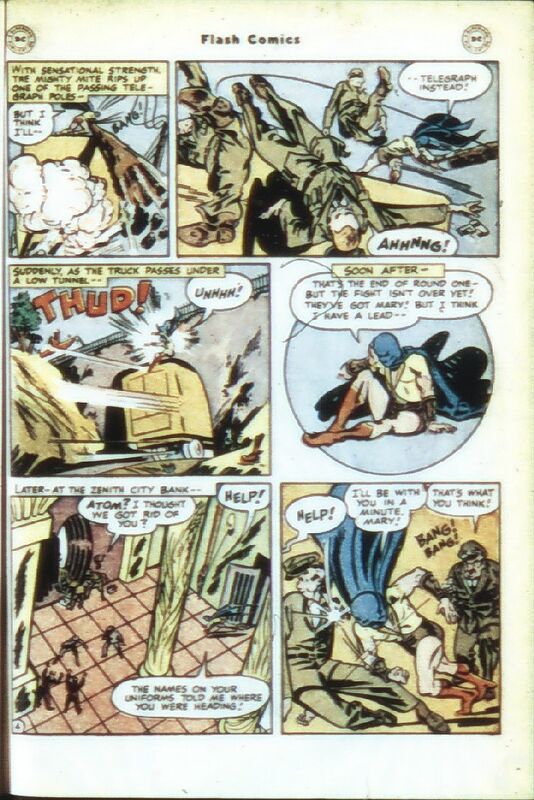 The strip was dropped due to wartime paper restrictions and the drop in the page count, but inventory material appeared in All-American 70 in January 46 and Flash 80 in February 47 and it was decided to revive the feature. 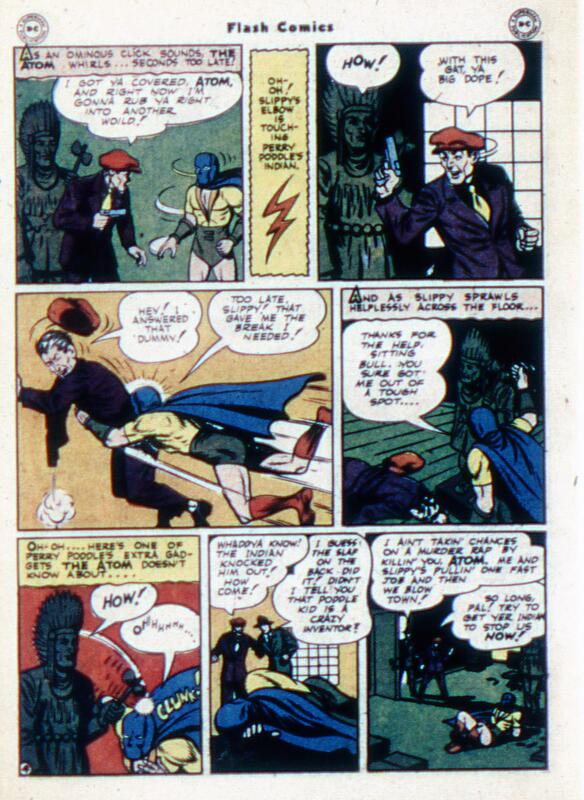 In Flash Comics 98, August 1948, he received a new costume, courtesy of Carmine Infantino. At approximately the same time, he also developed super-strength through means that were never explained. 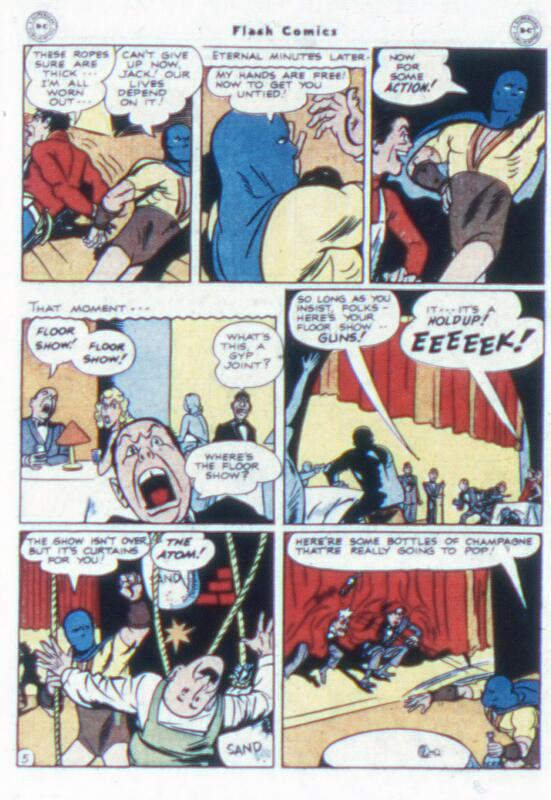 Apart from a couple of fill-ins, Paul Reinman pencilled the Atom stories from Flash 93 until the end in Flash 104. This image by Paul Reinman and Bernard Sachs from Flash 104, February 1949.